How much data do you need to recover to bring your business back from a disaster? Not all data may be essential immediately. However, some systems–including email–support other mission-critical systems and processes within your company. It is also important to know how long it will take to recover your data. Factor in your employees’ wages, plus overhead and potential loss of revenue, to get a sense of the overall risk of not having a Business Continuity and Disaster Recovery plan. 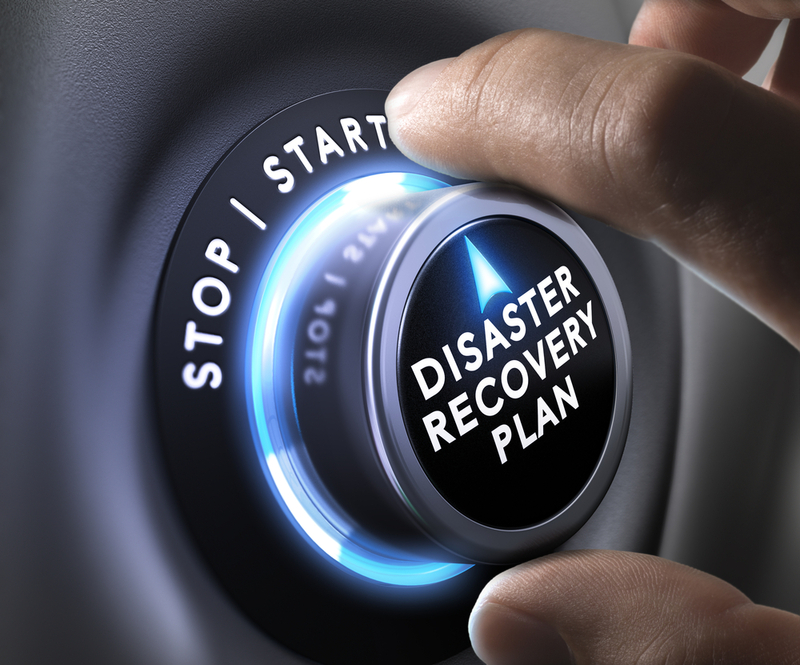 Depending on your industry, backup and disaster recovery might be the law. Sarbanes-Oxley (SOX) makes business continuity and disaster recovery an imperative. Failure to comply could mean fines and even jail time. Other industries, including health services, must comply with the Health Insurance Portability and Accountability Act (HIPAA), which requires backing up data and making sure it is consistently available, even in a disaster. Understand regulatory requirements placed on your business, to avoid unnecessary consequences of a business interruption and data loss. Relying on a local backup is not enough. The risk to your business resulting from a data loss is too high to rely on one backup method alone. Complement your local backup with Cloud Backup to ensure rapid recovery. Offsite archives of tape backups may not recover fast enough to avoid business interruption. It is also important to ensure your network supports a timely backup from a local source as well as from a Cloud backup and recovery system. Backup is all about recovery. Verifying your backup in a timely manner, and ensuring it actually works, is a critical step in your business continuity and disaster recovery plan. You should verify your backup periodically and check to make sure all data needed is included. By testing the recovery, you can identify any corrupted data along with network bottlenecks to restore your business to full operation. If you have any questions about your business continuity and disaster recovery plan, contact your trusted technology advisor. If you are uncertain about your cost of downtime, compliance with industry regulations, or your company’s ability to recovery from a disaster, do not delay but seek guidance today.